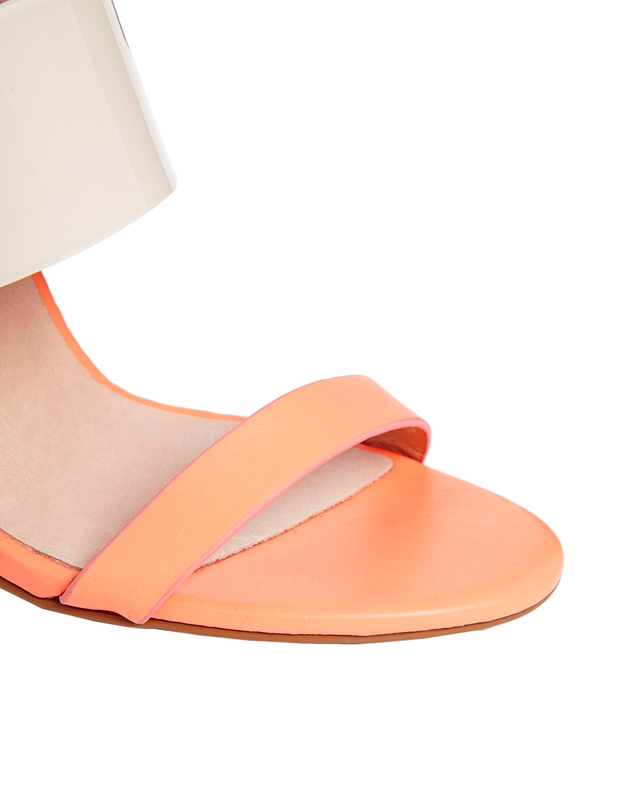 As soon as I saw the Hold Out sandals from ASOS it became immediately apparent that a feature on summer brights was going to be in order. These sweet orange/coral sandals in mixed media and finish look incredible with a tan and a bright scarlet red pedicure. I adore the line of the heel and for a reasonably priced high street end shoe (they retail at just £55) the quality and finish stands up even to an extreme close up. Always a great sign. The tiny touch of pink on the edges of the toe strap had be sold. So to get this look you will of course firstly need just the right nail finish. My personal favourite is The Boltons from Nails Inc because I love the metallic almost festive shine. It provides a delicious contrast against the matt leather toe strap. Perfect. Then why not pair with some other toned down summer brights like muted turquoise, lemon or pistachio green? 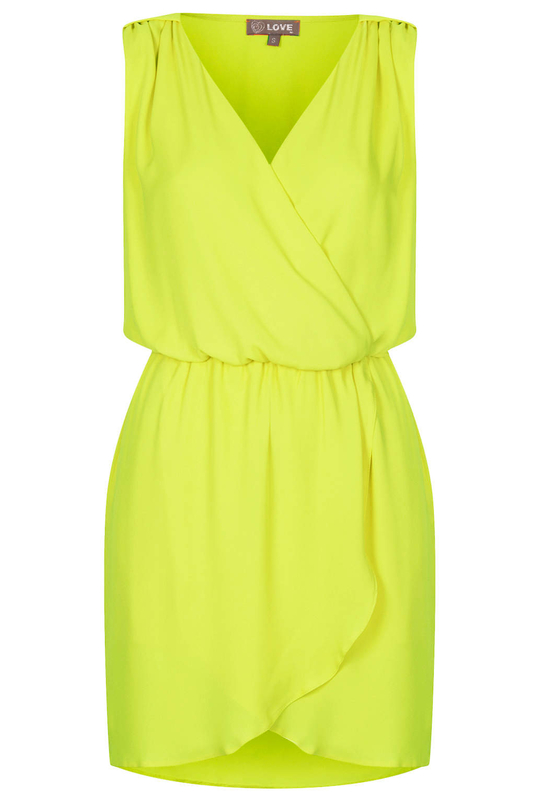 I love this simple little cross front dress which you can pick up for just £32 at Topshop. Remember a muted colour clash when it's Summer, the days are long and skin has a golden glow is ALWAYS a fantastic idea. Don't be scared. You'll look amazing.